I have discovered last year the amazing beauty concept store: Credo Beauty, which selects and carries the best natural skin care brands (see my previous post here). 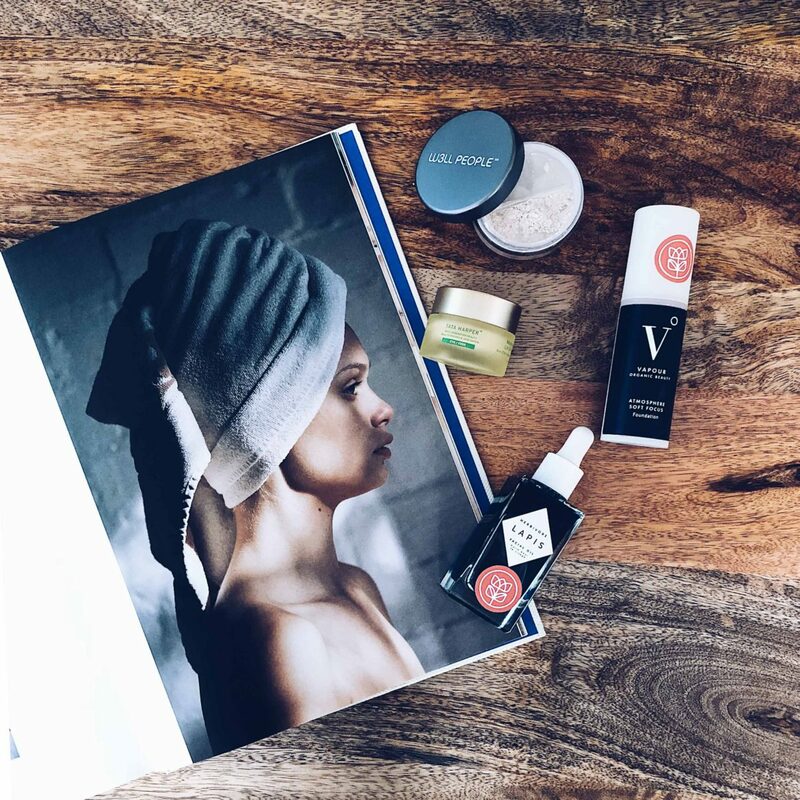 If you are into clean beauty, it is not easy to shop at regular beauty stores as there are very few brands which sell natural, glamorous and efficient clean beauty products. I am a regular customer at Credo Beauty (I order online or I go to the LA store) and I am super happy to partner with them for this spring beauty post. As an LA resident, my skin is always subject to wind and sun. During Spring, I use natural beauty products which hydrate, prevent aging, protect from sun, brighten the skin and even the skin tone. I have details my best natural skincare brands and spring beauty routine below. Indie Lee Brightening Cleanser: If you are looking for an effective cleanser gentle with your skin, anti-aging and without harsh chemicals (paraben, SLS, etc.) 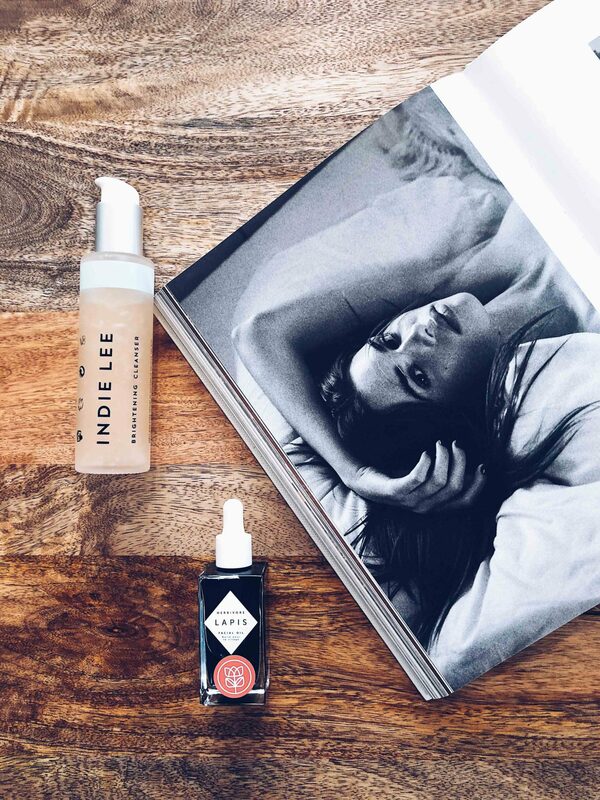 Indie Lee Brightening cleanser will be your day to night cleanser favorite. You can also apply it to the eyes with a cotton pad. Herbivore Lapis oil: Herbivore is a must have clean beauty products. All their products are amazing! One of their best-sellers is the Lapis oil, which is perfect for a combination or oily skin. It helps clear up skin blemishes and improves skin tone, leaving it soft and supple. It moisturizes and protects from premature aging. This brand is producing very gentle products perfect for spring! Tata Harper masks: since I have tried these masks I am obsessed and did not find something as good as them. The resurfacing mask: it delivers instant glow, minimizes the appearance of pores and improves texture for smooth, glowing skin. It is not suitable for super sensitive skin. But I have a sensitive skin and I use it once a week for 15 – 20 min. It really helps. Boosted Contouring Eye Mask: one of my favorite products to quickly refresh the delicate eye area. It lifts and restores the appearance of tired eyes! I use twice a week (and then once when I am in the middle of the pot)! Goldfaden M.D. Doctor’s Scrub Exfoliator: One of the few scrubs which is natural and suitable for sensitive skin. Dr. Goldfaden’s exfoliator contains crystals that polish away dead surface cells, leaving skin brighter, clearer and younger-looking. It also contains Hyaluronic Acid to deliver long-lasting hydration and nourishing Seaweed and antioxidants Organic Red Tea Extract. I use it once or twice a week. 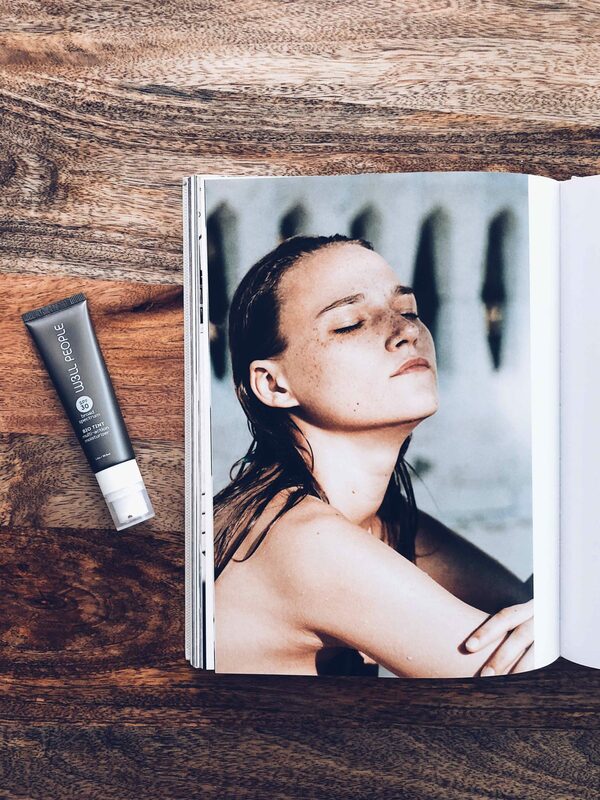 As per Credo Beauty, a daily use may help reduce the appearance of fine lines, pores and leave healthy, radiant skin. Nu Evolution – Camouflage Cream in Disguise. 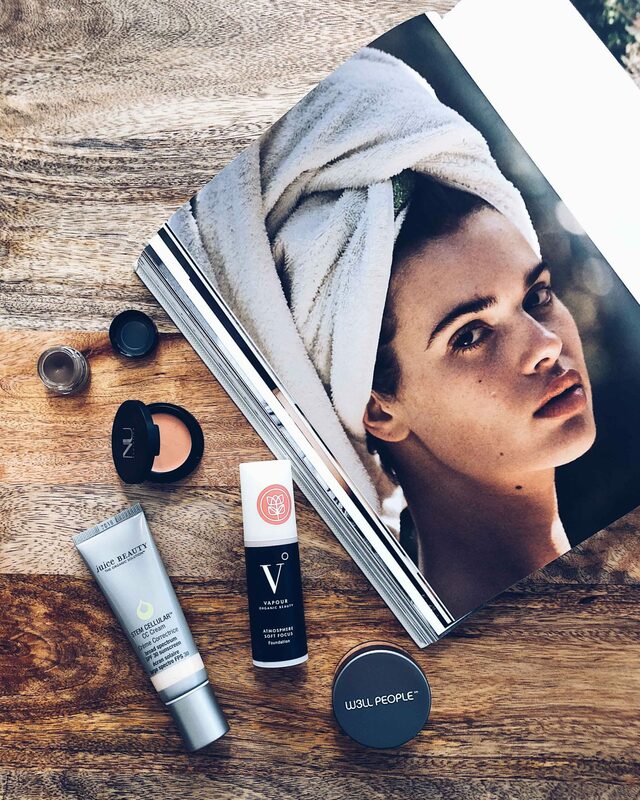 I discovered this beauty trick thanks to a Credo Beauty expert. Use this red cream under your dark circles before applying your concealer. It really helps to decrease the darkness around the eye area. My favorite trick so far, and perfect for the spring allergies!! Eco Brow Defining Wax. Eyebrow makeup products are as important as mascaras nowadays. This formula blends and diffuses easily into the brow hair, and contains silica for oil absorption as well as nourishing Vitamin E. It is really easy to intensify and control the result. Plus they have different colors to be sure to find the perfect shade! Vapour Atmosphere soft focus foundation. The formula contains 70% of organic ingredients and it is formulated without harsh chemicals, which will not obstruct your pores. The Soft Focus liquid formula is designed to balance normal, sensitive and combination skin types, and instantly provides a naturally soft, satin finish. The perfect swap for the liquid Armani foundation. The coverage is natural and you can use it day or night. Juice Beauty Stem Cellular: this CC cream is perfect for a daily use during Spring. It is anti-aging, evens the skin tone and it contains a SPF. Also, they have many colors for different skin tones. The perfect swap with any BB cream or CC cream you may have! W3LL People setting powder: I simply love this natural skin care brand. One of my must-have is the setting powder. I love it as this translucent setting powder will adapt to all skin tones, instantly creates a naturally flawless complexion, absorbs excess oil while softening fine lines. I use it to set foundation for ultra-long wear. It is a clean swap with the Laura Mercier Secret Brightening Powder. W3LL People Bio-tint Multi-Action Moisturizer. I was looking for a clean product as good as the Laura Mercier Tinted Moisturizer! Indeed, I tried different brands, but I never got the same coverage until I had Bio-Tint by W3LL People. With its SPF30 and Advanced bio-peptide complex which boosts collagen, and premium natural pigments which correct imperfections, this product is part of my makeup favorite for a natural look! 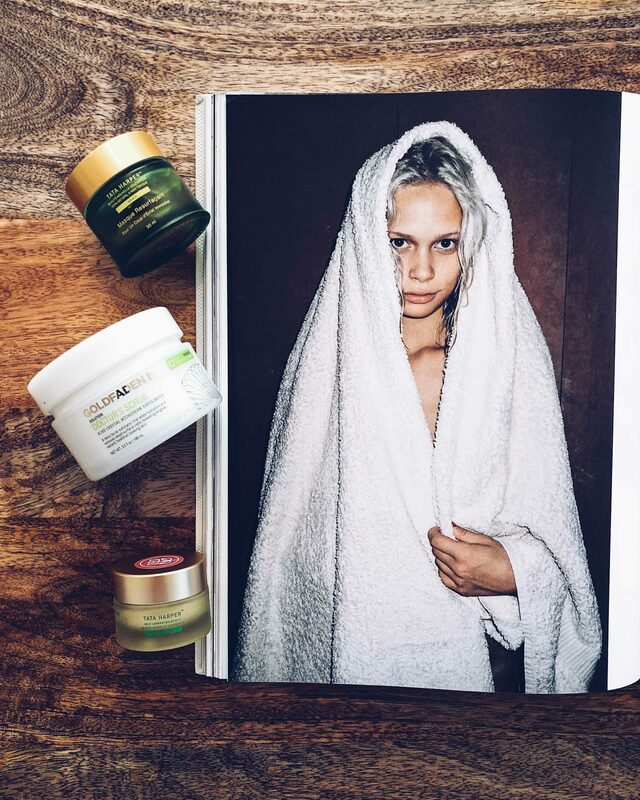 Pictures by Julia Comil, products by Credo Beauty – book: Purienne Holiday. Disclaimer: I contacted Credo Beauty to do a collaboration as I am a loyal customer of this store and always found the best natural skin care brands at Credo Beauty. 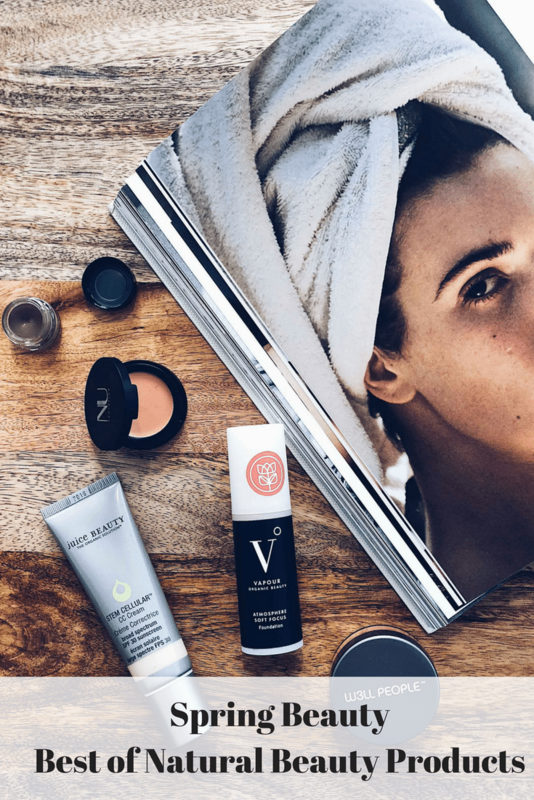 Credo Beauty generously offered me some products for this spring beauty post. As always, opinions are my own. There are so many products here I have never tried! These all sound amazing babe, definitely interested in trying the Bio-Tint! I love natural skincare brands, thanks so much for sharing all of these amazing items! Thank you for sharing this skincare brand! I’ve never heard of them before, but it’s great to learn more. I’m a skincare junkie so I’m always on the lookout for new things! I’ve been thinking of trying some more natural products to help my skin! This is a great place to start! I love Tata Harper as well! never heard of W3LL People Bio-tint but sounds like an interesting product to try! I needed to read this post! Need to try some new things for spring! Great post dear! The scrub and masks look amazing! Need to try them:)! X C.
Thanks they definitely are great!! I wonder if that Herbivore Lapis Oil would also work on dry skin? I have been loving oils in my routine lately. Great list of beauty products! I’ve never tried any of these or even heard of a lot of them! I love finding new skin care products!! I’ve been on the hunt for new natural products! Thanks for sharing. ah these are all so good! 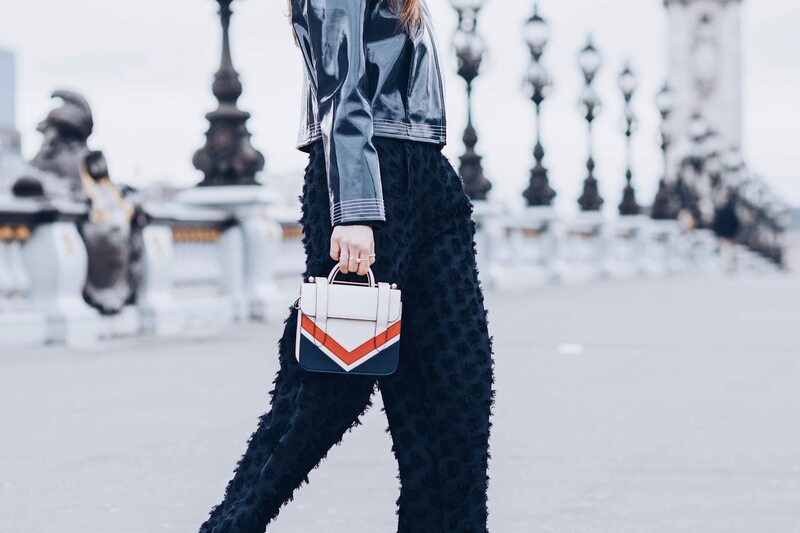 i’m loving blue lapis lately – it makes my skin absolutely glow! You are definitely the person to go to when it comes to natural beauty products. I have never tried them but they sound great and will check it out next time I come across them! Thanks Miki! They really worth it! These all sound amazing! I am definitely going to check these out. I have been trying to use all natural products recently!